Holden’s Commodore Calais-V Tourer is a tech-laden family hauler. The Calais-V stands out with 18-inch wheels filling out the plastic-clad arches and matrix LED headlamps. Opt for any colour other than white and the price rises by $550. 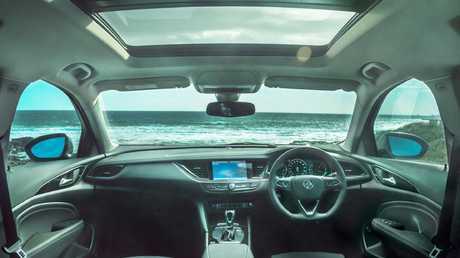 Inside there's a decent head-up display, an eight-inch infotainment display with satnav, smartphone mirroring and wireless phone charging, panoramic sunroof and leather upholstery. The front and rear seats are heated and the front also has cooling and a massage function. Service intervals are 12 months/12,000km. If you drive under the 13,500km average, you'll only need three trips in the first three years at a capped price of $817. Do the average and you'll spend $1176. 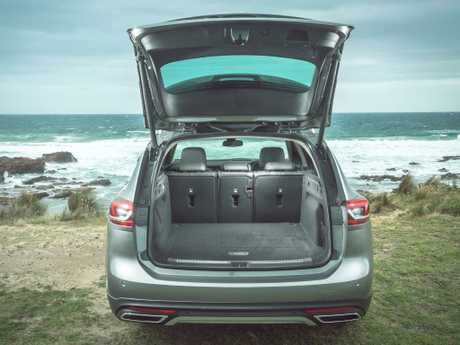 Cargo capacity is 560 litres with the rear seats in place but there's only a space-saver spare under the floor. The leather clad seats are supportive and the Tourer doesn't suffer from the liftback's limited rear headroom. The steering wheel paddles are too small to be really effective. The premium audio sounds good from all seats and there's a pair of USB ports for those in the rear. The Calais-V Tourer’s V6 engine will use more than 12 litres/100km in city driving. 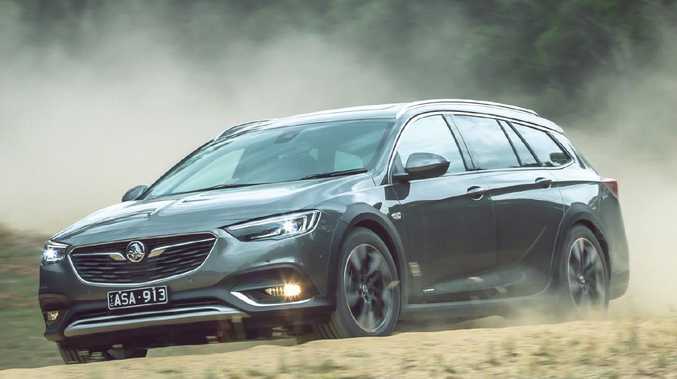 As the range-topping variant in the Commodore line-up the Calais-V Tourer comes with city-speed autonomous emergency braking, adaptive cruise, blind-spot monitoring, rear cross-traffic alert and lane-keep assist. The forward collision warning is projected onto the head-up display and will flare into audio and visual alert mode if the sensors detect a parked car as you are cornering on suburban streets. ANCAP rates it as a five-star car with 93 per cent adult occupant protection, 85 per cent for child occupant safety, 78 per cent for pedestrian protection and 77 per cent for safety assist features. The Calais-V’s interior is well presented. and includes heated seats front and rear. The V6 has far more engine character than the turbo 2.0-litre found in the Calais liftback and, in tandem with the nine-speed auto, hauls the Calais-V with decent pace and good response at all revs. The steering is spot on for the class and the suspension is well balanced between cornering prowess and occupant comfort, something comparable SUVs struggle with. Claimed fuel use is a combined 9.1 litres/100km or 12.3L/100km around town. 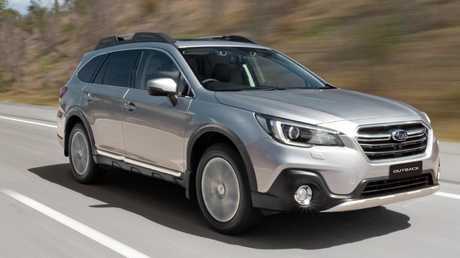 A full-size spare wheel is standard on the Subaru Outback 3.6R. The Outback feels classier inside and comes with a full-size spare but costs more to service, uses marginally more fuel and isn't as engaging to drive. 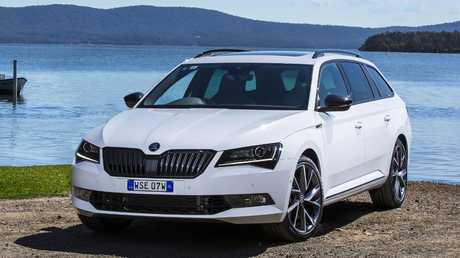 Skoda’s Superb Sportline 206TSI has the performance to chase the Commodore. 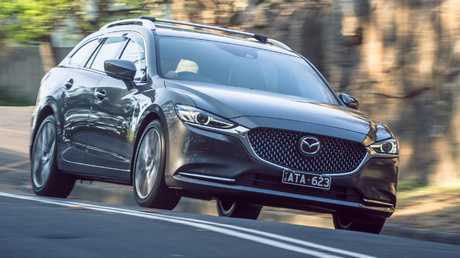 Mazda’s top-spec Atenza wagon has the classiest interior of this group. 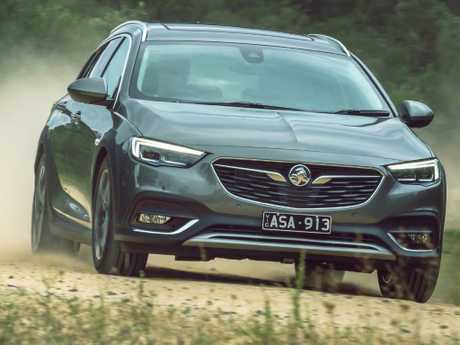 The Atenza is more than a match for the Commodore inside but the 2.5-litre turbo engine is limited to a 1600kg towing capacity, 500kg less than its rival. Trim the price by a few grand and the Calais V Tourer would be best in class. It is still the pick of crop as a tow-wagon. The rear seats fold down in three sections to help carry long or bulky items.